Enabling unprecedented levels of Minister-to-global business leader strategic dialogue will be the focus of the Abu Dhabi International Petroleum Exhibition and Conference (ADIPEC) 2017. That an event of such market-moving significance, and with such a tremendously-strong technical conference programme, is annually held in the UAE capital is irrefutable evidence of Abu Dhabi’s established place of leadership within the world’s energy sector, say organizers, dmg events. Held under the patronage of His Highness Sheikh Khalifa Bin Zayed Al Nahyan, President of the UAE; hosted by the Abu Dhabi National Oil Company (ADNOC); and supported by the UAE Ministry of Energy, the Abu Dhabi Chamber, and the Abu Dhabi Tourism & Culture Authority, ADIPEC will take place from 13 to 16 November 2017 at the Abu Dhabi National Exhibition Centre (ADNEC). 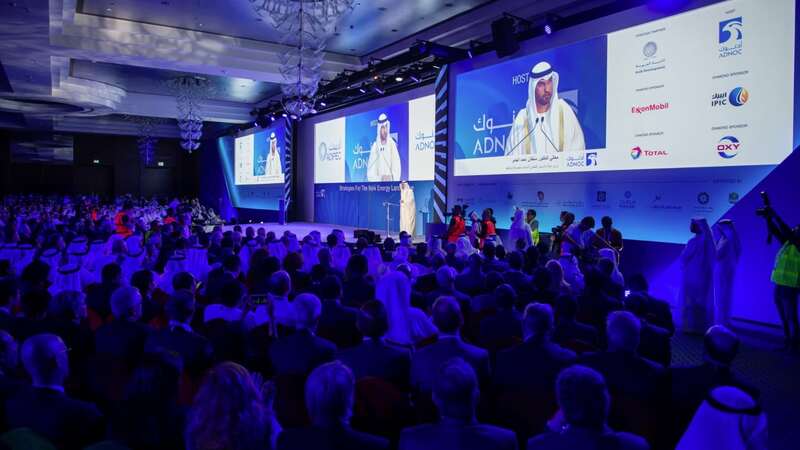 The premier meeting place for energy ministers and C-level executives from the world’s oil and gas giants, ADIPEC 2017 will convene under the theme: “Forging Ties, Driving Growth.” It is expected that there will be more than 45 minister and CEO sessions at ADIPEC 2017, up from 25 a year earlier. ADIPEC 2017 conference sessions include Offshore and Marine, and Security. New this year to ADIPEC are the introduction of global downstream technical sessions, set to drive the conversation on downstream expansion, diversification, and technology innovation and R&D. Key returning features at the event this year are the: ADIPEC Awards, which celebrate excellence in energy; Women in Industry Conference, which addresses gender balance in the energy sector; Young ADIPEC, a dedicated ‘edutainment’ programme designed to encourage students to choose a career in energy; and a VIP conference programme for members of the Middle East Petroleum Club.